Toyoda Spindles: Getting your business back into production – faster. The success and profitability of your machine hinges on a healthy, working spindle. So, when choosing the right spindle for your business, do not solely rely on how dependable a spindle can be, but also, take into consideration how quickly a damaged spindle can be brought back into production. The most common causes of spindle repair and replacement are attributed to 1) a cutting tool impacting a fixture or a workpiece, and 2) contaminants in the machine’s air, coolant, or lubrication supply system finding their way into the spindle bearings. Although a standardized, formal (and adequate!) maintenance routine can drastically increase your spindle’s lifespan, unexpected downtime can be inevitable - forcing manufacturers to make costly and lengthy repairs. Toyoda spindles are specifically designed with repair in mind - allowing for faster, simpler, and more cost-efficient repairs. Providing the most impact is Toyoda’s removable spindle taper. With this, shop floors now have the ability to save invaluable production time by personally conducting indicator tests to determine the extent of a spindle’s damage. 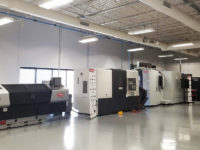 In cases where the bearings are still functioning properly and the spindle is running true to centerline, shop floors can install a new taper and have a machine back up and running in less than 30 minutes. 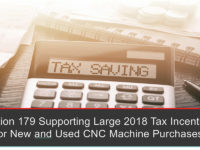 Furthermore, the removable taper allows machine owners to easily change to a different tool holder interface such as CAT 40 to CAT 50 taper or HSK 63a to HSK 100a without requiring a total spindle change. 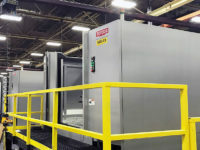 The modular drawbar assembly, removed from the front of the machine, provides a more optimized and flexible maintenance procedure than when removing units from the back of the machine. The spindle housing (containing the spindle cartridge, motor and bearings) design, also features proprietary design elements intended for a smoother repair process. 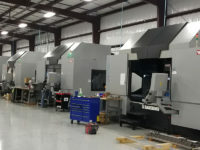 Bolted to the machine’s headstock, the spindle housing attributes to a faster turnaround time by permitting technicians to repair the entire spindle unit as opposed to just the cartridge. This allows the technician to disassemble and repair all spindle components for a more thorough rebuild, as well as test the spindle on a run-in stand that replicates being mounted into the machine. Due to this design element, all adjustments can be made at the repair facility, so once the rebuilt spindle is re-installed, no further adjustments are required. Having the right spindle makes all the difference. Supported by a team of experienced and knowledgeable spindle builders and certified technicians, you can trust that Toyoda has the product and the people to have you back in production quickly and efficiently. Call today, and find out how!